A high-quality keratin smoothing treatment can be the solution to a multitude of hair woes. Here’s our guide to how your hair could benefit. 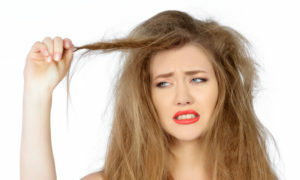 1 · YOU’RE FIGHTING CONSTANT FRIZZ! Frizz is a condition we are all too familiar with and is one of the major reasons people will opt for a keratin treatment. Hair that is lacking in the necessary protein, nutrients and moisture is particularly prone to frizz. Even when you think you have it beaten, following hours of blow-drying and serums, it can rear its ugly head within minutes of leaving the house, as humidity and a range of aggressors set to work undoing all your hard work. The protein technology of the Kerastraight Ultimate Treatment is ideal for fighting frizz, renewing, repairing and, hydrating hair, leaving it strong and healthy. Because hair is in peak health and fully hydrated, it won’t be drinking in the moisture from humid air, the main cause of frizz, so you can relax and enjoy smooth, shiny, beautiful hair however high the humidity. The results mean that you’ll be able to enjoy up to four months of hassle free styling, often halving the time it takes to achieve the looks you’ve always dreamed of. This is an increasingly common complaint, especially with the growing use of heated tools to achieve straighter styles. But it’s not just heated tools that will leave hair dry and brittle, overexposure to the sun, using the wrong shampoos and conditioners, even the wrong diet can leave hair lacking in moisture and looking dull – too much alcohol for, example can dehydrate the hair dramatically, while food high in processed sugar will hinder the absorption of protein which is essential to healthy hair. Huge advancements have been made in the development of keratin treatments in recent years. These days a good keratin treatment won’t just straighten, it will actually rebuild and repair the hair structure. Our Kerastraight Ultimate Treatment is packed with an advanced blend of concentrated proteins that will repair hair from root to tip while rehydrating and nourishing each strand from the inside out. If achieving the style you want is becoming a frustrating and time-consuming process, then a smoothing treatment could be the answer. Whether it’s a troublesome cow’s lick or a persistent kink that normal blow-drying or other forms of heat styling just won’t shift, a good quality keratin treatment, such as our Kerastraight Ultimate smoothing treatment, will help put you back in control. Kerastraight Ultimate is a universal treatment that can be easily adapted to every hair type. Its incredible protein technology will smooth out those unwanted kinks while strengthening and rebuilding the hair. The results mean that you’ll be able to enjoy up to four months of hassle free styling, often halving the time it takes to achieve the looks you’ve always dreamed of. This is another very common complaint, for which a high-quality keratin treatment can prove the perfect solution. If hair is prone to fraying at the edges or even breakage, it’s a sure sign that it’s lacking in protein, which is the natural component of hair that keeps it healthy and strong. The power of KeraStraight will repair damage to the last tip, transforming weak hair into healthy, stronger hair that will look and feel incredible. It’s all down to the unique protein technology which delivers added strength and elasticity. Once your hair has been restored to peak health, growing it will be easy. 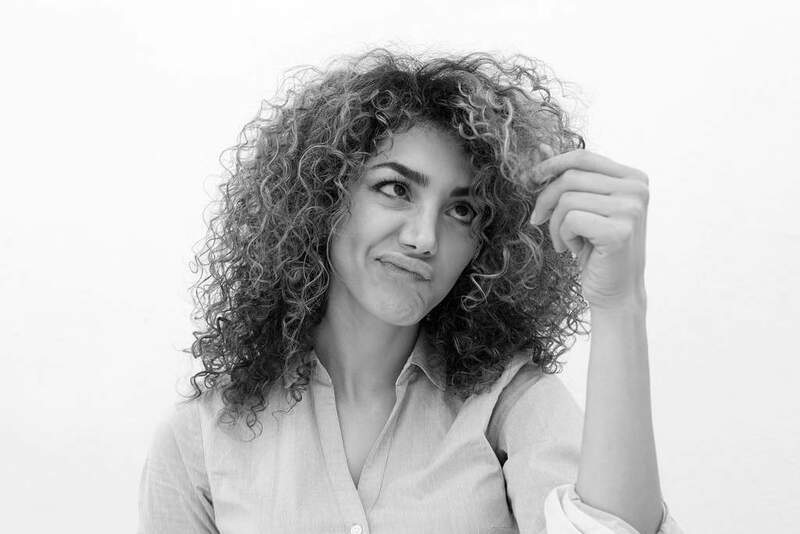 Obviously curly hair per say, isn’t a problem – it can look gorgeous and we at Jazz Hairdressing love it and many women are more than happy to embrace their natural texture. However, if you have naturally curly hair and you’re not enjoying it, a keratin treatment is the best solution. Sure, straightening irons offer a sort-term solution, but unless hair is bursting with moisture and healthy proteins, it really will be very short term. Our Kerastraight Ultimate treatment will transform unruly curls into beautifully straight tresses in just one treatment, while simultaneously strengthening and repairing any damage. If you have excessively curly hair, ask your stylist about Kerastraight Ultimate Booster. This miracle product can be added to the Kerastraight Ultimate Treatment to deliver even greater straightening power, enabling Kerastraight Ultimate to work its magic on even the most difficult and resistant hair types. Kerastraight Ultimate Booster allows the treatment to penetrate deeper into the hair for the ultimate in straight, shiny, healthy locks. If you want to keep your curls, but ensure they look and feel fabulous, ask your stylist about our Intense Boost treatment. In just 30 minutes, Intense Boost will repair, strengthen and hydrate your hair, leaving curls shining with health.